The Imperial Guild of Merchants serves the Eternal Empire of Koth, maintaining its massive industry and economy. The guild has dealings with every other Imperial Guild, the Legions of Koth, all levels of nobility and citizens throughout Koth and beyond to the foreign powers of Urth. Imperial Merchants promote the various industries of Koth, improving production, expanding opportunities and distributing goods to the peoples of the Empire. The Master of the Trade is the appointed leader of the Guild in the territory who oversees the trade with foreign organizations and trade between guilds. The Master of the Bazaars is the appointed leader of the Guild in the territory who oversees local businesses and assists with private sales. The Master of the Road is the appointed leader of the Guild in the territory who oversees the trade routes and caravans. The Master of the Value is the appointed leader of the Guild in the territory who oversees pricing, inspections and weights and measures. 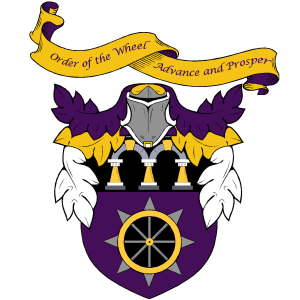 The Master of the Wheel is the head of the Order of the Wheel within the territory. This position makes him an officer in the Imperial Legions, typically a Lieutenant. Applicants who are accepted into the Guild are made an Sentry. Sentries who have demonstrated proficiency and loyalty advance to Coin Guard. Coin Guard who show expertise and leadership may be granted the title of Waefinder. Waefinders who master their craft and display unswerving dedication may be granted one of the special titles of Waemaster or Waemistress. The leader of a group of trading travelers, typically a journeyman. 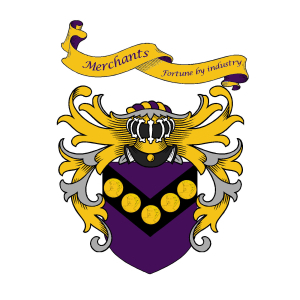 Why join the Imperial Guild of Merchants? You seek wealth. Members of this Guild are among the wealthiest in their respective classes. You want to own or run a business not covered by another Imperial Guild. You want connections across the territory (perhaps beyond). You like keeping track of things. You like (and are good at) negotiating with others. 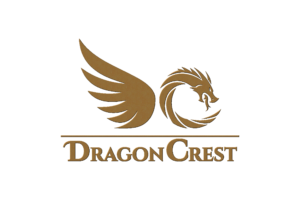 Whispers about the Imperial Guild of Merchants? They deal too much with foreign powers and have been subverted by them. They secretly run black markets and employ criminals all over the empire to do their dirty work. They think that everything has a price and nothing beyond their reach. They are the masterminds behind all of the other guilds. The Mistress of the Guild is a Jann who bears the markings of Wind and Stone upon her face. She spends as much time as she can in the Thirst which reminds her of her homeland of Quar in the Imperial Province of Scythia. Other Jann refer to her as Glides on Sand. She is a shrewd negotiator from her days on the Sandseas and has imported her own collection of sandskimmers which she hopes to use to expand trade in the Thirst as far as the Crest. The Mistress of the Road is a human woman whose family hails from Sohtarn on the north eastern shores of Koth. Her family moved to the colonies early and started a caravan business shortly after the Green Fires. She still personally runs the Crimson Caravan, named for her father and brother who were lost to runners. Mistress Crim constantly tours the colony and works closely with Master Contyr of the Order of the Wheel. Well known for her ability to sell furs to Sarel of the Thirst, Scarlet Crim favors local merchants and wares in her trades. Her family ships local goods back to Koth for sale there and she is always on the lookout for local stars. The Mistress of the Road has recently taken an active interest in gathering information about the Hexyn. The Master of the Wheel in the Colony of Dupree is a human man from Armay. Master Thade Contyr is an accomplished sailor, having experience running and protecting Imperial Merchants throughout the Sea of Storms and the Shattered Isles. He has commanded many a voyage to the Pan Ordan colonies in his time in Armay as well as expeditions into the Seaseas. Master Contyr comes from a celebrated merchant house and has been on caravans since his birth. Since arriving in the colonies, Master Contyr has studied Warding magics under the Celestial Order of the Dragon to help protect the travelers and goods under his purview.